Consuming the entire three floors of the Saatchi Gallery in Chelsea, London, Chanel’s Mademoiselle Privé exhibition showcased the history of Gabrielle Chanel, and ways in which her renowned fashion house has been re-invented through an ‘enchanted journey’ under Karl Lagerfeld. The combination of heritage and modernity radiated throughout the exhibition, allowing visitors an insight into Lagerfeld’s creational changes which have modernised the house for the trends of today. 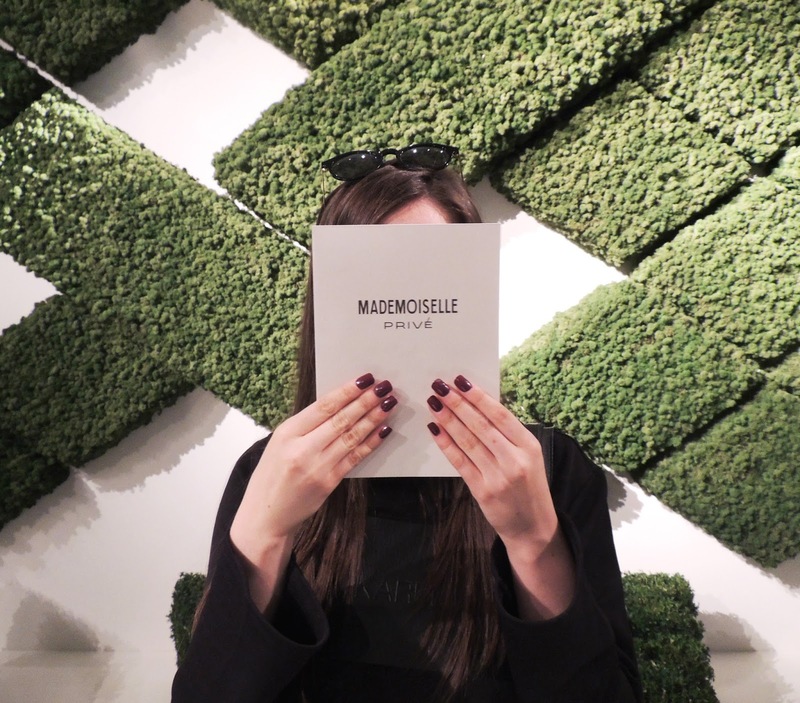 What I found with Mademoiselle Privé was that it appealed to all of the senses through the numerous aspects of the brand, from haute couture to fragrance to accessories. The sensory room room in particular allowed visitors to touch the vast variety of fabrics used to create the brands couture clothing, from delicate silks to the renowned tweed materials used for Chanel’s signature staple suits. This sensory room lacked light, allowing visitors to experience the materials for their texture rather than visibility. 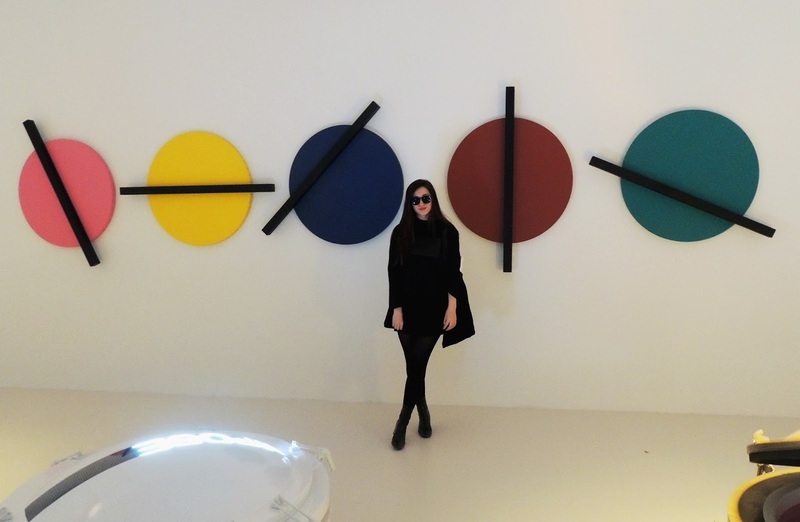 Appealing to sight and smell was the futuristic factory room showcasing the ways in which the signature Chanel No. 5 perfume is created, both through large vats which continually opened and closed to reveal coloured scents used in the perfume, as well as a complimentary free workshop available for all visitors to experience. Another appeal via scent was the French garden, a stunning room filled with fresh green hedges carved in a pattern which was representative of the designers ‘C’ based logo. What Mademoiselle Privé lacked was traditional pieces of Chanel couture clothing so that visitors were able to discover how Lagerfeld has maintained the origins of the house in his modernised collections. However, there was a great insight into Chanel’s lifestyle through the places which influenced her as a designer. 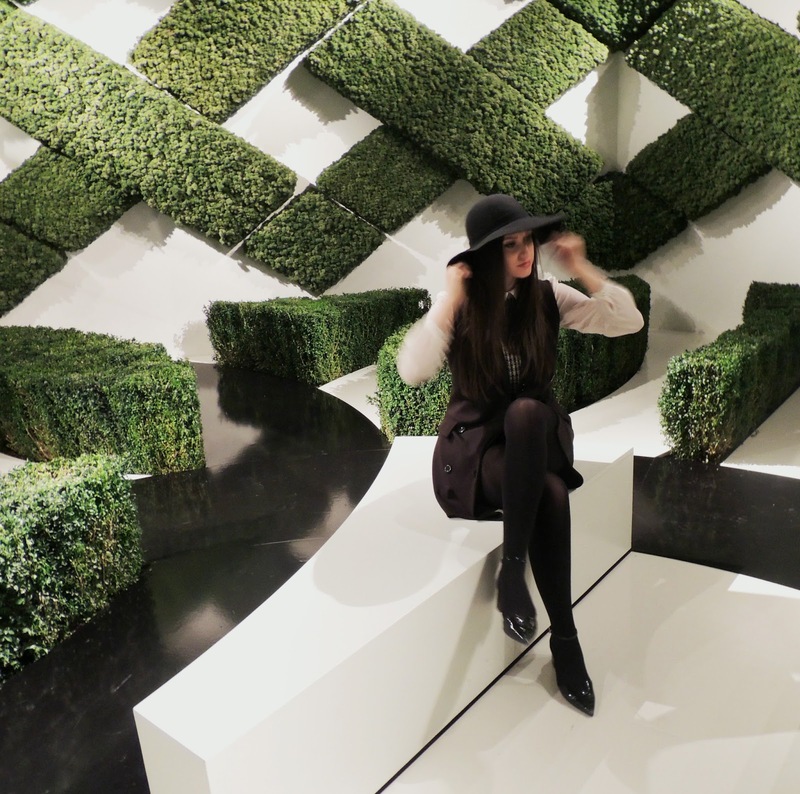 Even before entering the exhibition, visitors were guided through a garden leading to the exhibitions entrance, which was designed by Harry and David Rich to reflect the designers different moods in relation to her creations. 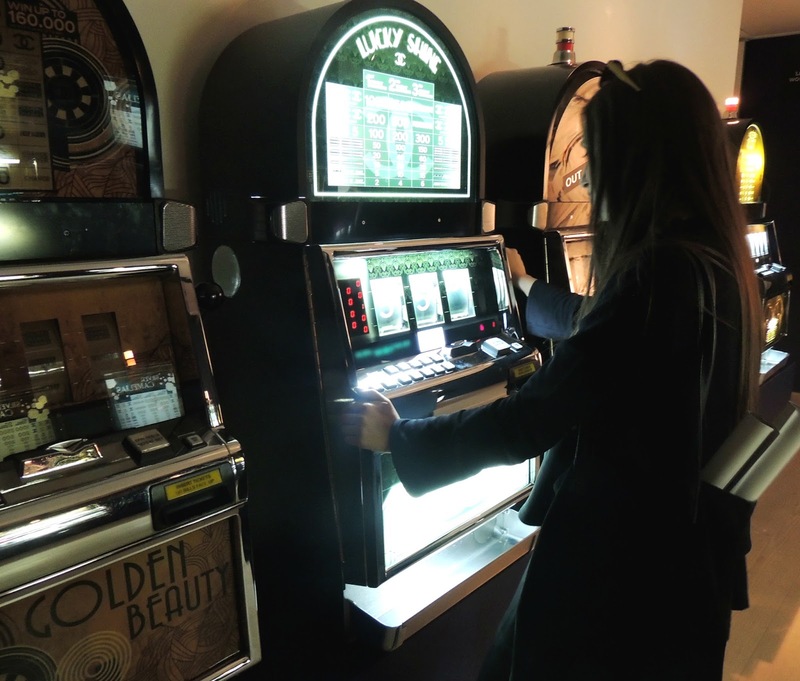 Visitors were introduced to the exhibition by literally stepping into a replica of Chanel’s renowned Rue Cambon apartment, the famous mirrored grand staircase being the main attraction for all to see. It’s grandeur caused one to naturally visualise Chanel’s models walking down the staircase in the house’s early couture shows to present items of clothing which would go on to define one of the most influential fashion houses in society. 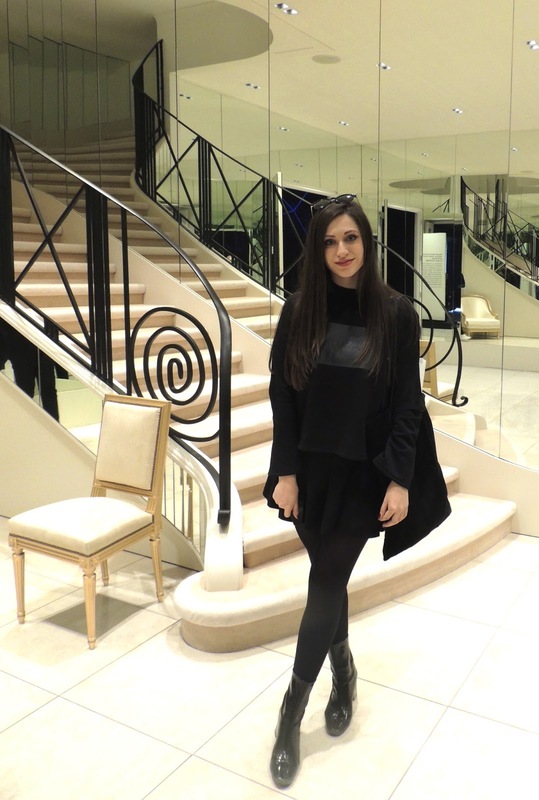 This room was one of my personal favourites as it truly encompassed the traditional house of Chanel. 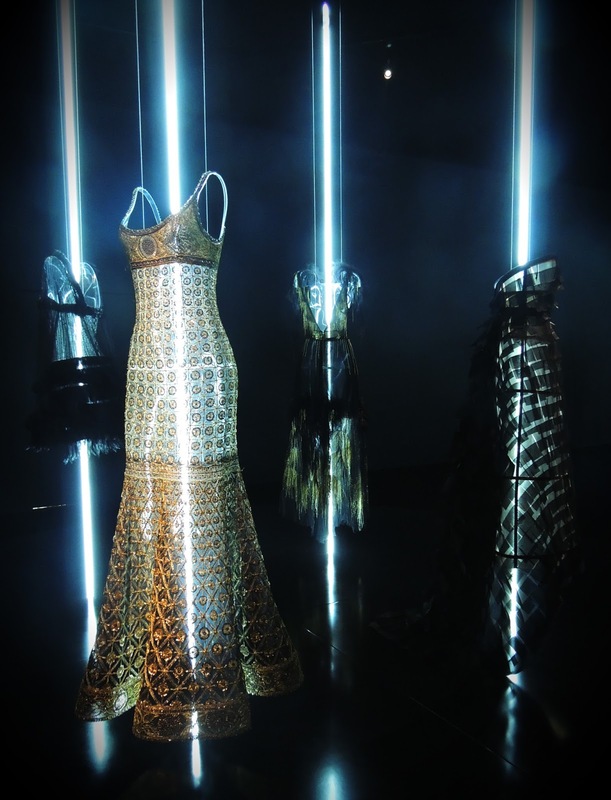 However, as a great admirer of Chanel’s haute couture, a favourite of mine in the exhibition was this very room. 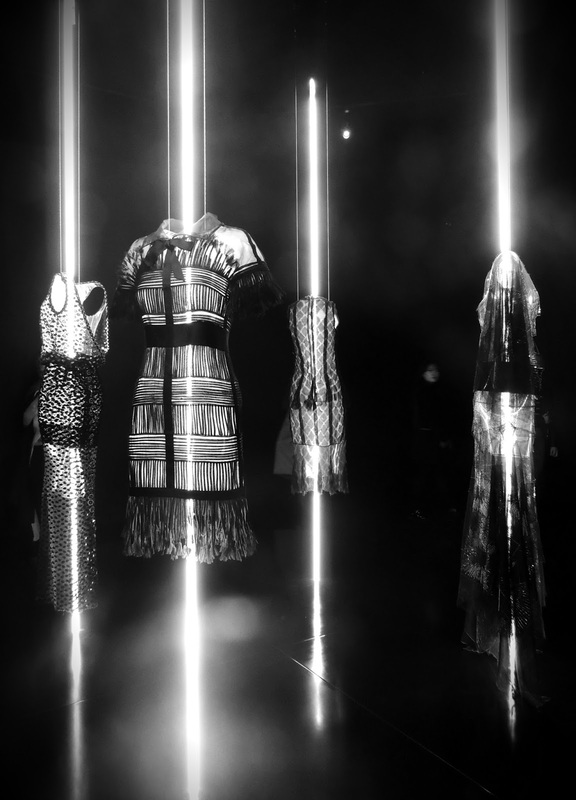 I was astounded by the presentation of the clothing; the spirit of Chanel pervaded the room as bright, beaming poles of light served to hold mannequins in a way which captured a ghost like tone to each piece, perhaps hinting at Gabrielle’s presence even in modern collections of today under the direction of Lagerfeld. Though at the same time, the presentation of the haute couture items allowed visitors to discover the embroidery detail involved in each piece of clothing, this detail in itself the main purpose of haute couture, as it is the maintenance of ‘a tradition and attention to every detail that defines this exceptional quality and perfection’. 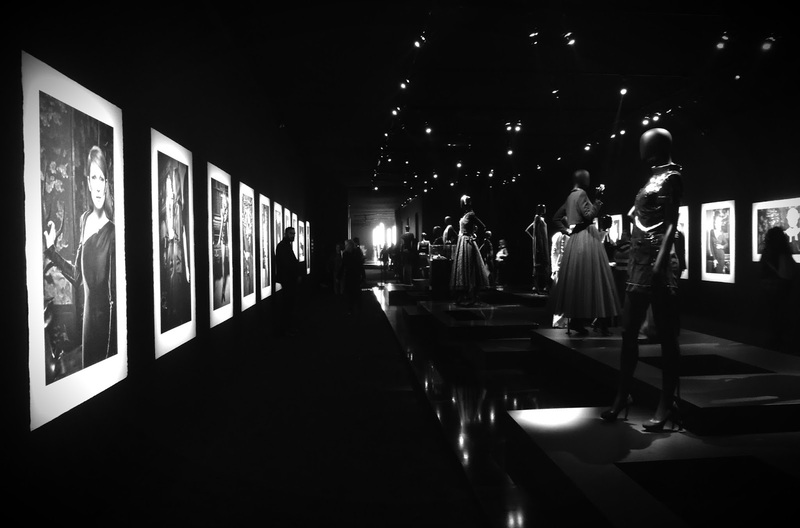 Mademoiselle Privé was an insightful exhibition for any visitor, as its presentation was unexpected yet creative in showcasing the history of Gabrielle Chanel and multiple sensory appealing aspects of her brand. Entering and leaving the exhibition through the Chanel inspired gardens left visitors feeling encompassed in Gabrielle’s world, thus a great way of illustrating her continual presence in Lagerfeld’s adaptation of Chanel today. Oh lord ALMIGHTY! This exhibition looks fantastic. Leave it to London.. you guys get all of the good fashion ones! I'd definitely say that "enchanted journey" would be an accurate phrase depicting Largfeld's reign at the house. While Coco defined pragmatism within the luxury sphere, Lagerfeld (especially the past few years) has explored new ways of looking at clothing as both functional pieces, and vessels for expression. Great post! Would love to see it in person! Wow! Stunning exhibition! Thanks for commenting on Qing's Style. Please always keep in touch! I am also inviting you to join my giveaway here. I completely agree Christine, Lagerfeld has most definitely explored new, modern ways of clothing, yet still maintains some tradition from Chanel! Love your outfit and the photos are gorgeous! I love your photos, this looks like such a cool spot to visit! Great post! it looks like a lovely event, cara and lily are two of my faves!